Ms. Cecilia Birdsell for her lifetime of outstanding contributions to our parish and school. 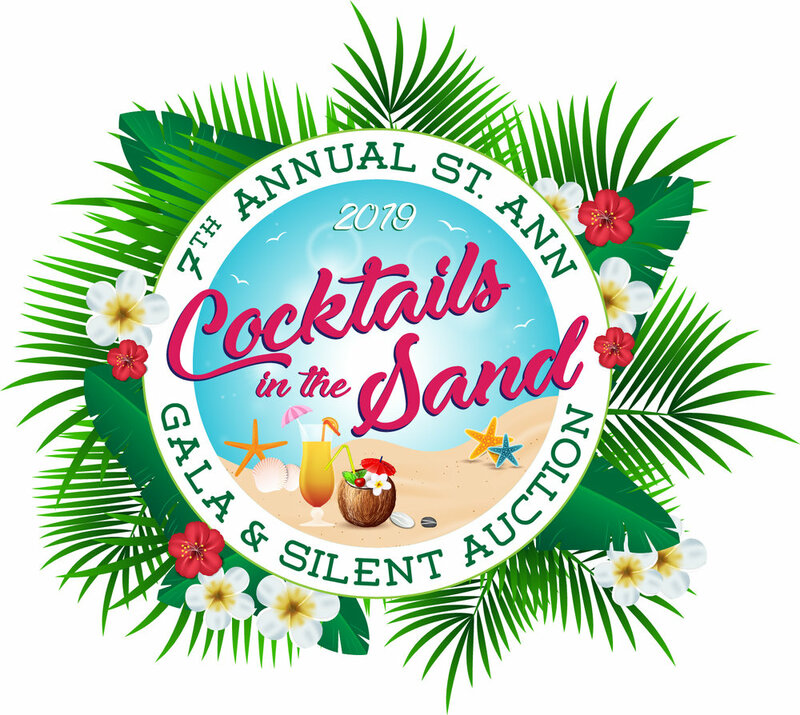 The St. Ann School Board of Directors and Gala Committee cordially invite you to our 7th Annual Gala and Silent Auction. For those of you who may not be aware, the Gala and Silent Auction is one of our Board’s biggest fundraising events. The funds raised are essential to cover the additional costs needed to educate your child, as your family’s tuition payments cover approximately 63% of the total cost to educate each student. These funds also provide the necessary resources to enhance the educational experience for our students through such means as updated academic materials and technology, professional development opportunities for our teachers, as well as future improvements to our facility. This year, our school will honor Ms. Cecilia Birdsell for her lifetime of outstanding contributions to our parish and school. Our Gala Committee is working very hard to make this a night to remember! Creative food stations with an abundance of choices will be the menu again this year. We have a NEW band this year… Sunshine Symphony… and we are adding a Chinese Auction to the fun! Our past years’ auction items included a trip to Florida, Great Wolf Lodge gift certificates, sporting events, catered dinners, jewelry, student projects, and much, much more. Stay tuned as we announce this year’s Silent and Chinese auction items! Thank you for your support and we hope to see you at the Gala! St. Ann School is a 501(c)(3) non-profit organization, Tax ID 23-1421929. 2019 Gala & Silent Auction Sponsors! Join us for a night of fun to support the St. Ann School Gala and Silent Auction. Please bring a bottle or two of your favorite “beach theme” wine ($10.00 minimum) to stock our Wine Tree Raffle for the Gala! SILENT AUCTION DONATIONS Our Gala relies on business and private donations of unique items that generate fun, competitive bidding among guests. Specialty items and services can be underwritten by business donors as well as individuals, families or group of friends.